Strong 40 lb. Kraft pocket has a thumb cut opening for easy access. 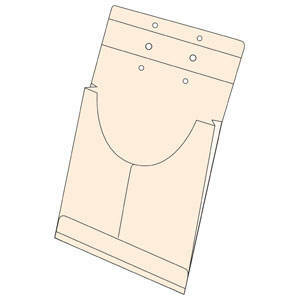 Reinforced binding holes are pre-punched to be used with fastener folder. Letter or Legal size application. Pocket has a 1" expansion.